Lisa Nichols is one of the foremost and exciting speakers of the teachers featured in The Secret. She is a dynamic international motivational speaker and powerful advocate of personal empowerment. 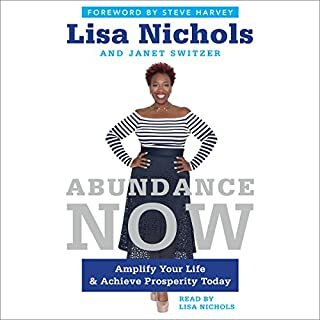 Lisa Nichols is a proven entrepreneur and since starting her company in her living room in May of 2000, she has taken it international whle doing more than two million dollars in business along the way. Whether your vision of an ideal career is starting your own business, rising to a different position within your current company, or landing your very first job, Quantum Success will help you make the prosperity and fulfillment of your dreams a reality. 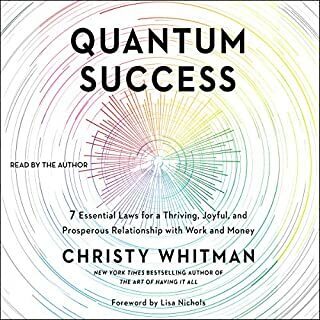 Through her accessible, empowering writing, Christy Whitman shares the fundamental principles that she’s discovered after more than 20 years of studying universal forces - such as polarity, alignment, resonance, momentum, and magnetism - and explains how to harness these forces to optimize your wealth and career. good but wish there were more concrete exercises. This solutions-oriented guide offers problem-solving and behavior-changing strategies for people working on their most intimate relationships. What distinguishes Intellectual Foreplay from similar titles is that it includes guidelines on what to do with the answers it gives. This makes it useful in both creating and sustaining a relationship. There's no diet, no push-ups, no treadmill. But Lisa Nichols has got a plan that will move you, flex your "bounce-back" muscles and empower you to realize your dreams no matter what. Millions of people are trying to live by The Secret's Law of Attraction, but the truth is that it won't work unless you've strengthened your bounce-back muscles. Your bounce-back muscles give you the strength and agility you need to navigate life's speed bumps-and the program in No Matter What outlines these 9 Steps or "muscles", which include your Confidence muscle, your Faith-in-Myself muscle, your Honesty Out Loud muscle and your Forgiveness muscle, and tells you how to use them to achieve happiness and success. 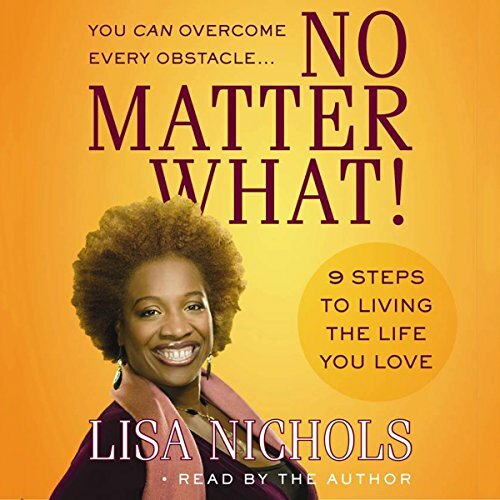 By developing and toning her own bounce-back muscles at critical points in her life, Lisa Nichols found the power to become her authentic self and achieve everything she dared to hope for. I've downloaded dozens of audible books but this was the first time I was inspired to write a review. I had a very positive impression of Nichols based on The Secret so I thought I'd check out this book. It went far above my expectations. Nichols has a brilliant way of weaving personal experiences, lessons and practical advice that keeps the book interesting and engaging for all 9 hours. She's likable, direct and it's no wonder so many people connect with her. She also has a great voice and her enthusiastic tone makes her a pleasure to listen to. Her passion really comes through and you can't help but be affected by her positivity and insights. Nichols offers so many inspired lessons that pertain to people in all stages of life. It affected me and I'm looking forward to her future work - as well as listening to this one again! Lisa reads her life story and shares all her experience, strength and hope she experienced in her life. I gained so much from her open and honest communication and re-listen to it when I am having a difficult time. The best book for healing a broken spirit. Loved every minute of it!!! 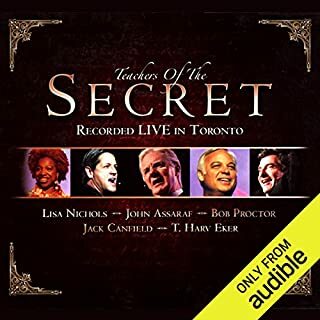 I was first exposed to Ms. Nichols via 'The Secret' and was taken by her sincerity and openness in discussing her own issues - not an easy task when it could be exposed to an audience of millions. Even though I grew up in as contrasting circumstances as you could find: a male in rural Pennsylvania in the 60's, many of her trials felt very real and personal to me. I listened to her book while driving cross-country to start a new career, and even the title 'No Matter What!' lent much needed emotional and self-confidence support. I really look forward to more life lessons from someone who really has had a life full of challenges and lessons and has a great skill in sharing them with her audience. I would. Lisa is a great motivator and makes you realize you have the power within. Cant believe some people got depressed listening to this?? It was so inspiring and uplifting! What was one of the most memorable moments of No Matter What!? I think the exercises you has you do are very effective and I like them and I also loved her candid revelations of her experiences and how she overcame them! I havent finished this book yet but I know just from the first few chapters, It will help me continue on a path of loving myself therefore able to love others more. Thank you Lisa!! I must say I had never heard of Lisa before, I was browsing my Netflix account & saw "The Secret" movie, as I was watching Lisa came on & what she had to say really peaked my interest. So naturally I looked to see if she had any audiobooks available & JACKPOT!! I must say that I am not disappointed at my choice, I will definitely purchase more of her work. I would recommend this audiobook to everyone! I was hooked in the first 5 min. This is a must for every audio book collection. She is so down to earth and has a way of teaching that is rare and addicting. Would you listen to No Matter What! again? Why? This is a great book for anyone who wants to make a change in thier life. Very engaging. She was talking directly to me! This is my first and not my last listen from Ms. Nicols, I felt she was speaking to me directly. 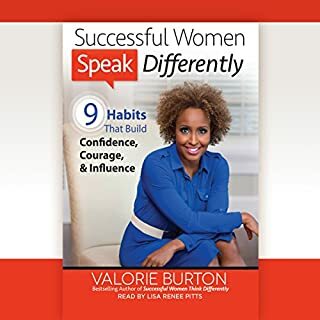 I enjoyed her book, I am buyg the hardcopy to keep as a reference! I listen to this audiobook again and again. It's fun and inspiring. After I finished listening, I ordered a copy from amazon too. Great work. Lisa reads this book in a comfortable listening way. A little drawn out in places but very inspiring makes up for this. Lisa refers to god quite a lot, I'm not a beleiver in god so this could of been annoying but it's Lisa,s book so it's fine that she talks of all her beliefs, instead of feeling preached to I instead generalised the god references and I imagined a natural universal higher being, a kind of perhaps guardian angel kind of presence, this helped me digest the God references. As I am listening to this book right now I am finding that I am being enlighten, I am learning that instead of holding grudges with certain people, in my case there's just three people, it's best to move on and forgive them, it clears your mind and at the end of the day if you let your blood boil when you see the people that have crossed you in the past then this just drains your positivity and that's not good, I saw one of my Crossers yesterday and wished him a merry Christmas and shook his hand, he was taken aback and surprised but I am now free of that negative anger, I have two more to free and I'll see them today and do the same with them. Then these people will no longer be controlling my feelings. What did you like most about No Matter What!? I was a bit sceptical that this would be more of the same that I've read or listened to in other personal development books but I was so wrong. Lisa has written a book that is incredibly powerful and nurturing and makes you think about what you're doing and how you're partaking in your life without getting you defensive (and for me that's easily done!). Although I listened to this whilst driving and so was unable to do the written exercises at the time they still had a massive impact on me. Also I love this book so much I'm actually going to go back and re-listen so I can do the written work. The advantage of it being an audiobook as that you get to hear Lisa's beautiful, calming yet powerful voice and helps you realise that she really does mean what she has written. Recommend this book wholeheartedly. Loved the practical tips Lisa gave at the end of each chapter for you to go and apply. Great story threaded through this with life lessons woven in. Really captivating and enjoyable. 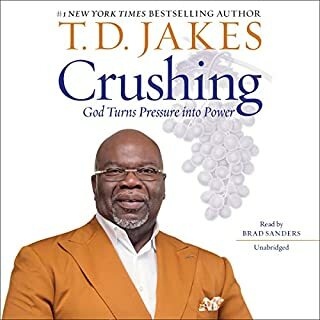 This was the 1st audible book ive ever listened to. i saw a youtude clip of Lisa and she mentioned her book . I could relate on every level. Thank you. This is definitely something i can review and listen to over and over again. Thumb's up from me. I love every part of this book. Too many favourites to mention. Lots of ah hah moments as well. Purchased a hard copy for myself, sister and a friend. Inspiring, powerful and motivating book. Lisa shares her life and lessons and how we can accomplish anything...no matter what. I have read and listened to many self-help books in my time. This is one of the better ones. There are lots of original strategies to addressing issues. She applies and explains the techniques she recommends. The book in very interesting as this is about her life story, which is tremendous. I really enjoyed this audiobook. I believe there is something in here for everyone even if you are a fan of self-improvement books. The narration is very good and is so much better because it is the author telling her own story. I am already recommending this book to family and friends. Warning..I did think the acknowledgements at the end were a little like an Oscar acceptance speech. A whole new chapter! loved every word. she's such an inspiration. if you need to up your resilience then this is the book for you.